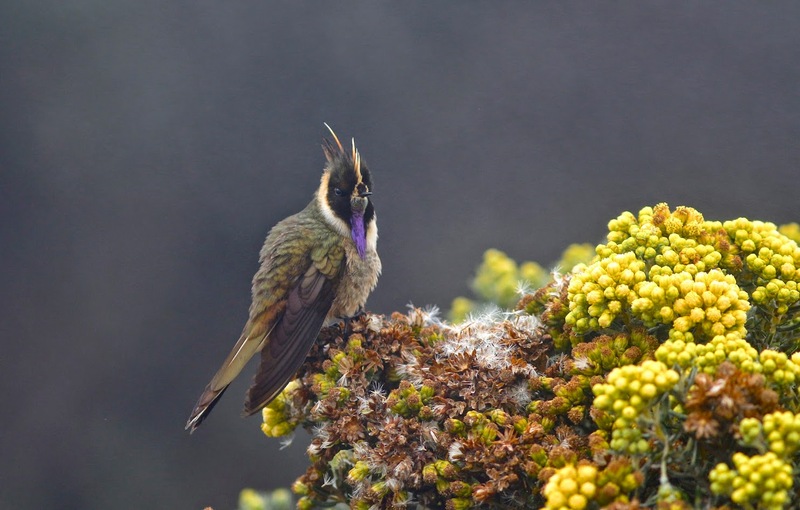 In our previous trips to Ecuador and Peru we became a big fan of birding in the Andes. We decided that the next South America destination would be Colombia. We were joined by Jelmer Poelstra, Sander Bot and Janne Ouwehand and together we planned a nice 2.5 week trip through the Central and Western Andes. We visited Rio Claro, Anori (Chestnut-capped Piha reserve), Urrao (Dusky Starfrontlet reserve), Bolombolo, Jardin, Apia, Montezuma road, Rio Blanco, Nevado del Ruiz and Monterrondo. Since Jelmer, Sander and Janne had a few days extra they also visited Otun Quimbaya & Parque Florida (and skipped Monterredondo). This entry was posted in South America by Rob & Helen. Bookmark the permalink.